1 Kings 6:3 The portico in front of the Temple-House was twenty cubits long across the breadth of the house and…ten cubits [wide] from the front of the House. The portico that fronted Solomonʼs Temple-Sanctuary had no counterpart in the Mosaic Tabernacle. Such an open overhang would not have been practical in the latter structure, covered only with fabrics and skins, because such materials would have been too vulnerable to wind damage. Whereas the portico in Solomonʼs Temple was built of stone and lumber, and was buttressed by two massive pillars. The Laver and the portico were both situated between the lower part of the Court (with its entrance and Altar) and the Sanctuary. In the body of Man, the area of the Laver and portico corresponds to the upper abdominal cavity, which is partly enclosed and protected by the lower ribs of the rib cage. Above the upper abdomen is the diaphragm, a strong, upwardly-vaulted muscle, which completely partitions the abdomen from the fully-enclosed chest cavity. Every priest of God had to be washed in water before being allowed into the Sanctuary, and before ministering in the Court at the Altar. This law was a representation of the second principle of the Gospel: water baptism. It is to immediately follow the commitment of a disciple to abandon (sacrifice) carnal ways. Leviticus 17:11 The soul of the flesh [Heb. nephesh; Gr. psuchē] is in the blood. 1 John 5:19 The whole kosmos/world lies in [under] the Evil One. 2:16 For all that is in the world – the lust of the flesh, the lust of the eyes, and the pride of life – is not of the Father, but is of the world. Ephesians 6:12 For we do not wrestle against flesh and blood, but against powers, against the rulers of the darkness of this kosmos/world, against the spiritual hosts of the wickedness in the heavenlies. 1 John 5:2 …love God and keep His Commandments. … 4 For all having been begotten of God overcome the world [i.e., the present order of affairs]. The Feast of Unleavened bread symbolizes these principles. 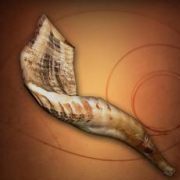 This feast immediately follows the Passover sacrifice. Matthew 16:5 Then Jesus said to them, “Take heed and beware of the leaven of the Pharisees and the Sadducees.” … 12 Then they understood that He did not tell them to beware of the leaven of bread, but of the doctrine of the Pharisees and Sadducees. Leaven = doctrine. Most doctrine has been corrupted by worldliness. Therefore, the message of the second principle of the Gospel is this: those who come to Christ must be purged/washed/purified from all of their worldly beliefs and worldly soul-ties (relationships). 2 Corinthians 5:17 Therefore, if anyone is in Christ, he is a new Creation: old things have passed away; behold, all things have become new. John 12:25 “The one loving* his soul will lose it, and the one hating his soul in this kosmos/world will keep it unto eternal life.” * Gr. phileō: ego-based affection. 2) worldly doctrine and worldly relationships. Greater spiritual gifts, such as the personal indwelling of the Holy Spirit, and the internal understanding of the Word, cannot be received by the natural man. Such gifts were reserved until Christʼs Covenant with His Church. They were granted in the third stage of the Gospel, and are represented by access to the Holy Place of the Tabernacle. No commoner/natural man was ever allowed to enter into the Tabernacle. The next two blogs will describe some of the things represented by the two-part Sanctuary.